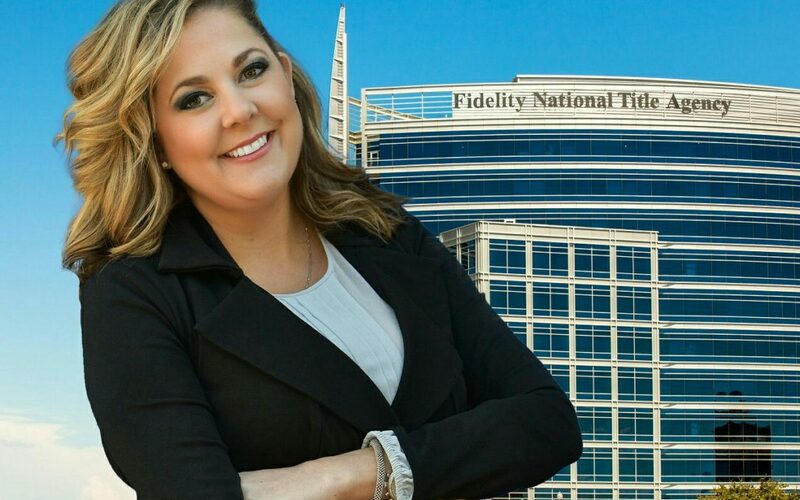 TEMPE, ARIZ. (June 5, 2017) – Dena M. Jones has been promoted to Director of Strategic Partnerships, Assistant Vice President at Fidelity National Title Agency, a national leader in title insurance and real estate services. Jones, who celebrates her third anniversary at Fidelity National Title in October, will be responsible for strengthening the company’s relationship within the real estate community, maximizing opportunities for its largest partnerships, and growing Fidelity’s footprint through leadership, philanthropic initiatives, and community involvement. She will work with Sharon J. Terhune, Vice President, Residential Sales Manager, and the sales team to drive sales, increase market share, and add value. Jones previously served as Assistant Vice President, Sales Executive. “Our executive team believes that having Dena on board truly makes our company better. I love Dena’s energy, keen business sense and dynamic personality along with her caring nature for her colleagues and clients,” Terhune said. Jones is active in numerous industry groups. She is on the Board of Directors for Valley Partnership, a commercial real estate industry group that represents the development community. She is also involved with the SouthEast Valley Association of REALTORS (SEVRAR), the Phoenix Association of REALTORS (PAR), the Scottsdale Arizona Association of REALTORS (SAAR), and the Arizona Real Estate Investors Association (AZREIA). She is on the Board of Directors for the Care Fund. Launched in 2010 by the “homeownership industry,” the Apollo Foundation, dba Care Fund, is a critical part of Arizona’s family support network. It works with hospitals, case workers, and the health and welfare communities. Jones has served in a leadership capacity with the Care Fund for three years. Jones is Valley Partnership’s Board of Directors liaison for its community project, which is the legacy arm of the organization. She has been involved with leadership on the community project for six years. More than $1.2 million has been raised for the community project during her leadership role at Valley Partnership. She is also involved with the Scottsdale Active 20/30 Club, which sponsors Brokers for Kids, Agents Benefiting Children, and NiteFlite. All are fundraisers. Jones has been in the real estate industry for more than 13 years as a third-generation real estate professional. She majored in journalism at Arizona State University. A native of Phoenix, Jones is co-authoring a cookbook titled “To Taste” with her mother.